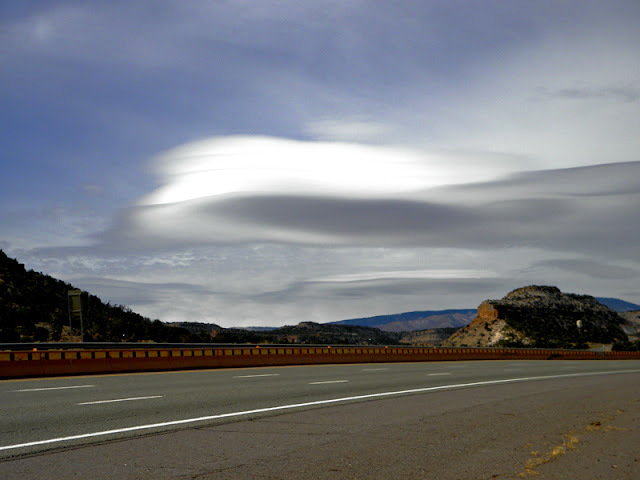 Interesting cloud formations over Pajarito Plateau. What type of cloud is that? Those are interesting clouds, pretty sky too. Very interesting clouds. I did attend a lecture on cloud types, but I don't remember seeing this type - they look almost painted! 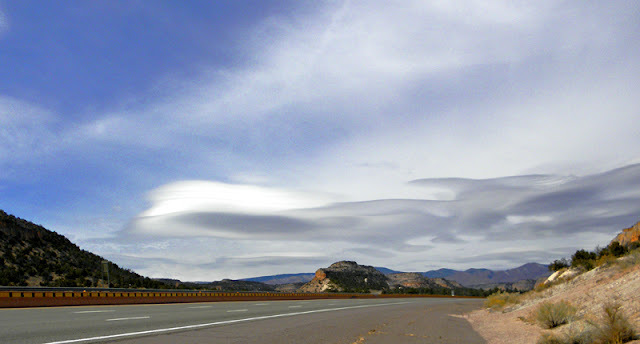 These are lenticular clouds, indicative of high winds aloft and stable air. Pretty much what we had in northern NM for days and days and weeks and weeks and months on end... But it did occasionally make for these always-intriguing clouds, which are not so common over the Jemez.